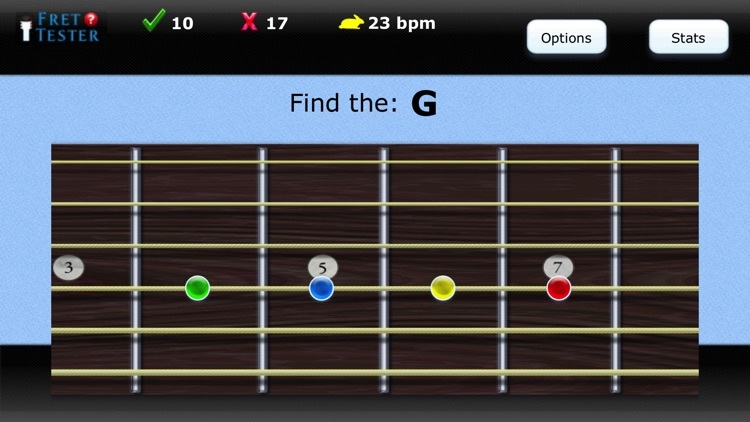 Fret Tester is a fretboard trainer that will teach you to read music on the guitar, mandolin, or bass. 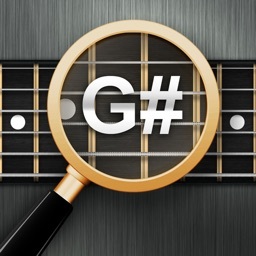 From learning the names of the notes on the fretboard to reading standard music notation, Fret Tester covers it all. 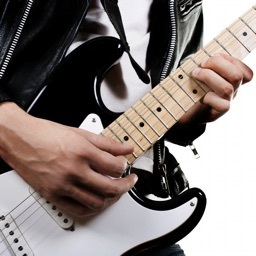 It was written by educator William Wilson, author of the book “Guitar Games: Learn Guitar. Read Music. Fight Space Monsters,” and is based on years of music teaching experience. -Clear and straight forward. 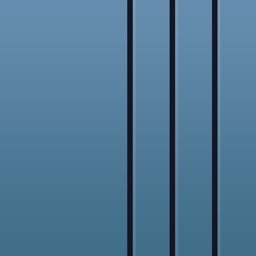 Buttons are easy to push with no clutter. 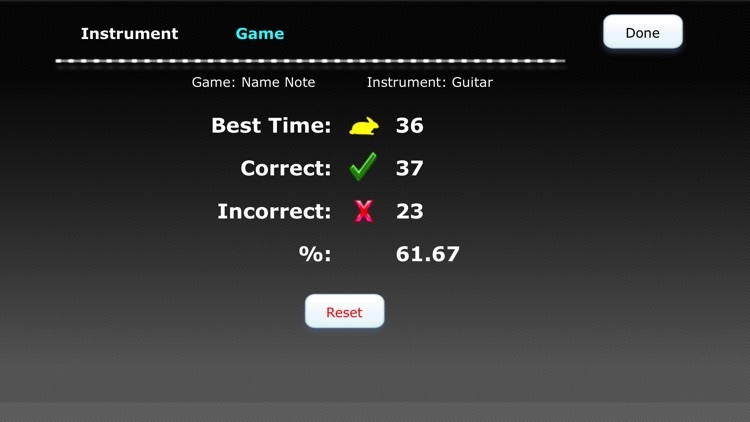 -Instrument and game statistics to chart your progress. 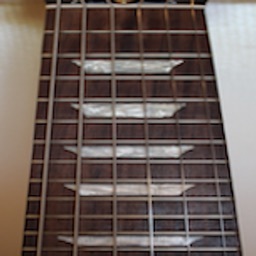 -Fretboard charts for all instruments. 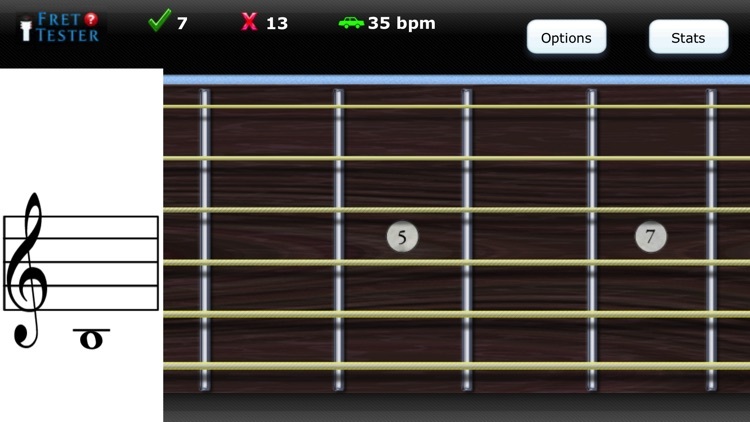 -Custom tunings and left-hand mode. 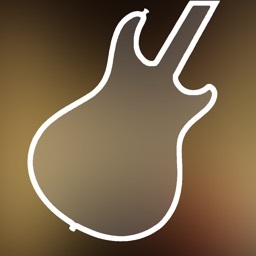 Find Note: A note name is shown and you pick from four locations on the neck. 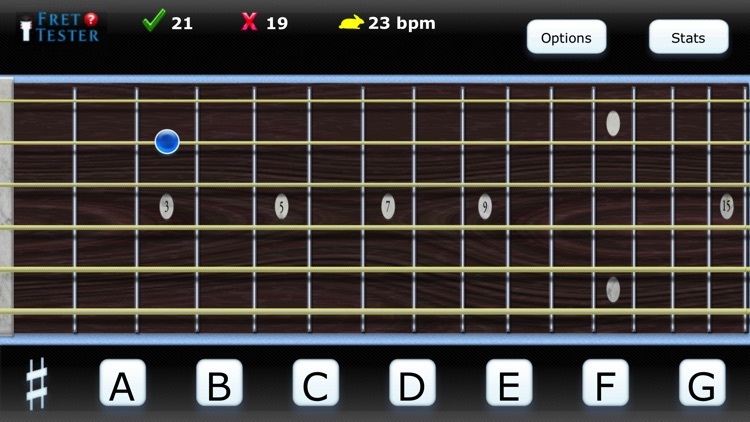 Notation: A note is shown in standard notation and you must tap the onscreen fretboard in the correct location. 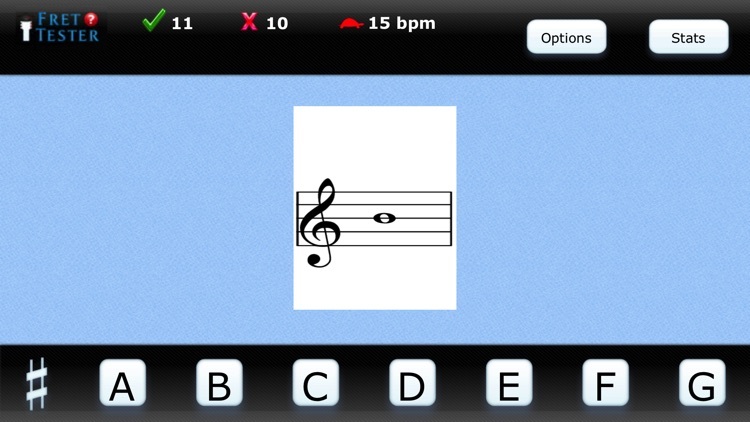 Notes on Staff: A treble or bass clef is shown and you must name the corresponding letter. A great first step in learning to read music. 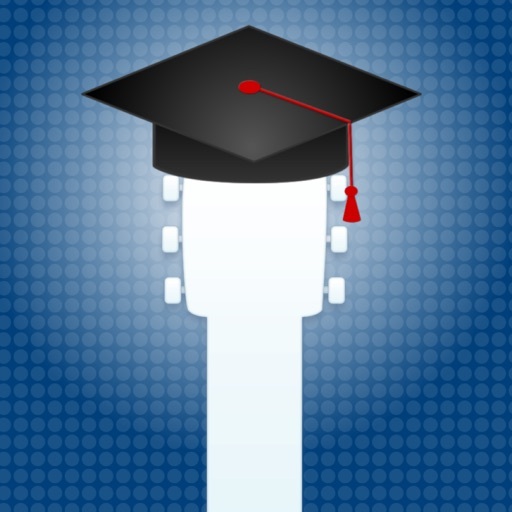 Whether you have never read music on the guitar or are trying to improve your reading in the upper positions, Fret Tester will provide you with all you need to master the fretboard.